‘Disrespectful’ decision shows the European Parliament's far-right ideological tendency, Turkey's ruling party spokesman says. The European Parliament's vote to suspend Turkey's EU accession process is "worthless for us", Turkey's ruling Justice and Development (AK) Party spokesman said on Wednesday. The European Parliament (EP) on Wednesday approved a report recommending the suspension of Turkey's European Union accession process. "This disrespectful decision shows the European Parliament's far-right ideological tendency," Ömer Çelik wrote on Twitter. 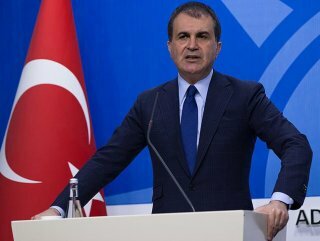 Çelik said the EP was far away from making supportive decisions to democratic development and accused the EP of looking through "the narrow window of the far-right." Recalling that the European Parliament failed to show solidarity with Turkey when the Turkish parliament was bombed during the coup attempt in July 15, 2016, Çelik said the EP president visited Turkey months after the defeated coup. "However, they see no harm in working with coup leaders. Everybody knows the racist [tendency] of the Commissioner for Enlargement and European Neighborhood Policy and that the rapporteur who prepared this report is close to terror supporters more than the democracy," Çelik said. Meanwhile, the Turkish Foreign Ministry also said in a statement that the EP's vote was "meaningless" and described it as "far from objectivity". "European Parliament's stance against Turkey should be to promote ties, interaction and dialogue between Turkey and EU," the ministry said. "Turkey expects the new EP Parliament, to be formed after the elections in May, will adopt a constructive approach to the Turkey-EU relations in the upcoming period, take qualified and objective decisions and boost Turkey's EU integration process," the ministry added. Turkish Parliament’s Foreign Affairs Committee head Volkan Bozkır also condemned the EP’s decision, describing it as "groundless" and said the EP has showed its “bias and prejudice” against Turkey. "EP again proved with this decision that they are far from the constructive path. Turkey’s negotiation and accession process are beneficial for both Turkey and the EU. "Turkey’s deep-rooted and multidimensional relations with the EU contributed and is still contributing to the EU in many aspects," Bozkır said. 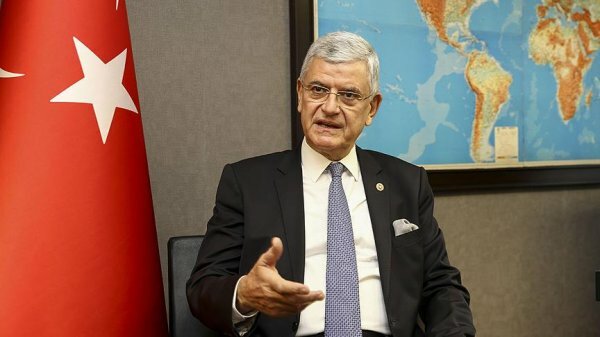 Bozkır went on to say that the EP's vote against Turkey’s EU accession process, which comes at a time when Turkey's efforts to normalize and revitalize these ties was at the highest level, was “double standard” and "inconsistency". 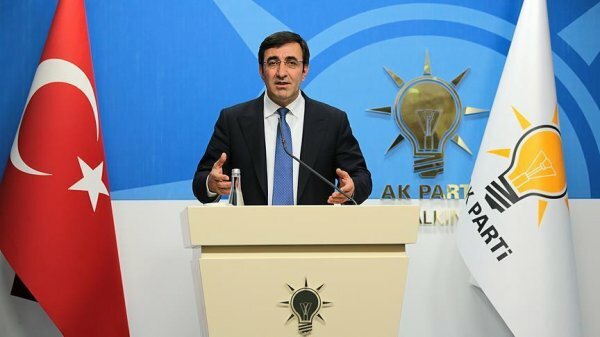 The ruling AK Party’s vice chairman "strongly condemns the approval of the 2018 Report on Turkey adopted by the General Assembly of the European Parliament (EP), which recommends the suspension of Turkey’s EU accession negotiations." 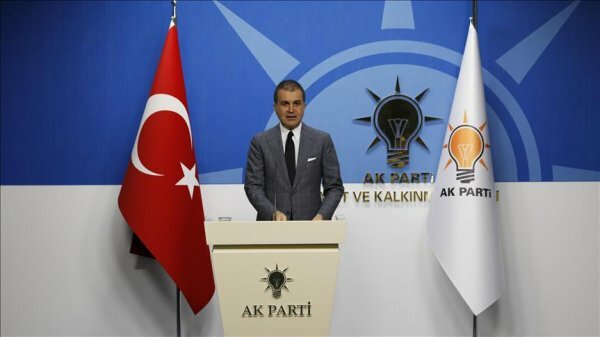 Ak Party Vice Chairman Cevdet Yılmaz said the report failed to reflect the real picture regarding developments in Turkey. "This is a clear indication of EP’s biased and prejudiced attitude towards Turkey," Yılmaz said. Yılmaz pointed to Turkey's sincere fight against terrorism and said it expects all its allies to stand in solidarity with Turkey against Daesh, PKK/PYD and FETO terror organizations. He said Turkey appreciated the European Union for their consistent recognition of the PKK as a terror organization and underlined that the security measures were taken by the Turkish government "is not only of concern to Turkey’s national security, but also for the security and future of Europe." "We would, therefore, once again like to take the opportunity to remind our European counterparts that the PKK / PYD / YPG and FETO terrorist organizations are a serious threat to the security and the public order of the EU countries," Yılmaz added. Yılmaz called on the EP and the EU to fulfill their commitments and abandon their unrealistic, and prejudiced attitudes towards Turkey. On Wednesday, the European Parliament voted against Turkey's EU accession negotiations and called on the European countries to formally suspend the process. A total of 370 members of the EP voted in favor of the decision to suspend Turkey's EU negotiations while 109 voted against and 143 abstained from voting. The 2018 Commission Report on Turkey had been prepared by Rapporteur Kati Piri and voted in the European Parliament’s Committee for Foreign Affairs in Feb. 21. "Turkey hosts the largest refugee population in the world, with more than 3 million registered refugees from Syria, Iraq and Afghanistan," the report noted. The report noted that visa liberalization is of great importance for Turkish citizens, particularly for students, academics, business representatives and people with family ties in the EU Member States. The report expressed its firm condemnation of the return to violence on the part of the PKK terrorist organization and recalled that the terrorist group has been on the EU list of terrorist organisations since 2002. But negotiations stalled in 2007 due to the objections of the Greek Cypriot administration on the divided island of Cyprus as well as opposition from Germany and France.